First, let me welcome those of you who have become new followers of my blog – nice to have you reading here and I hope you comment on what you like! I am way behind on my postings for the blog but will try to remedy that. 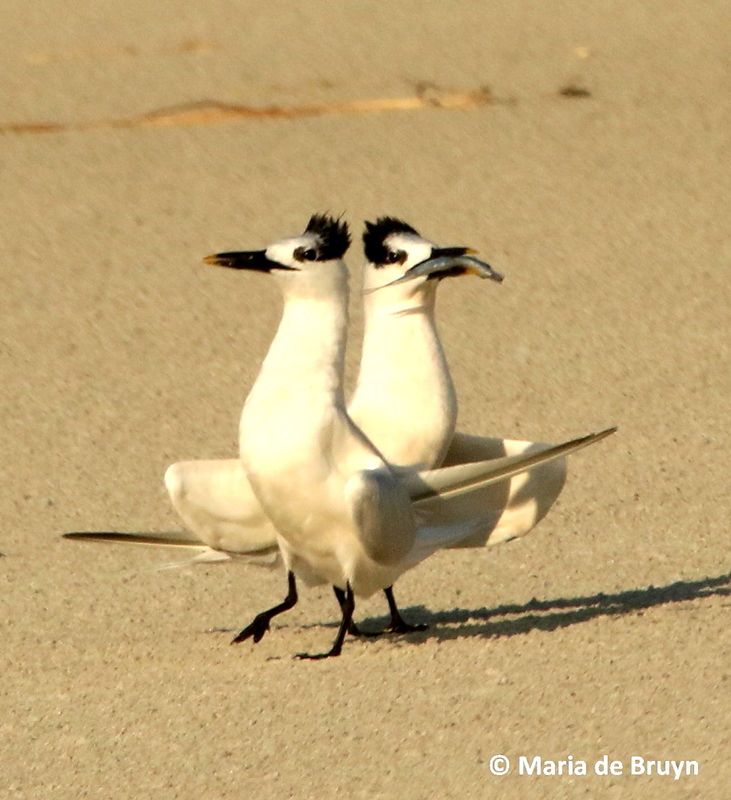 There are photos almost ready for a series on bird courtship and child-rearing, as well as some other non-bird topics, but various issues have been keeping me from completing the texts. 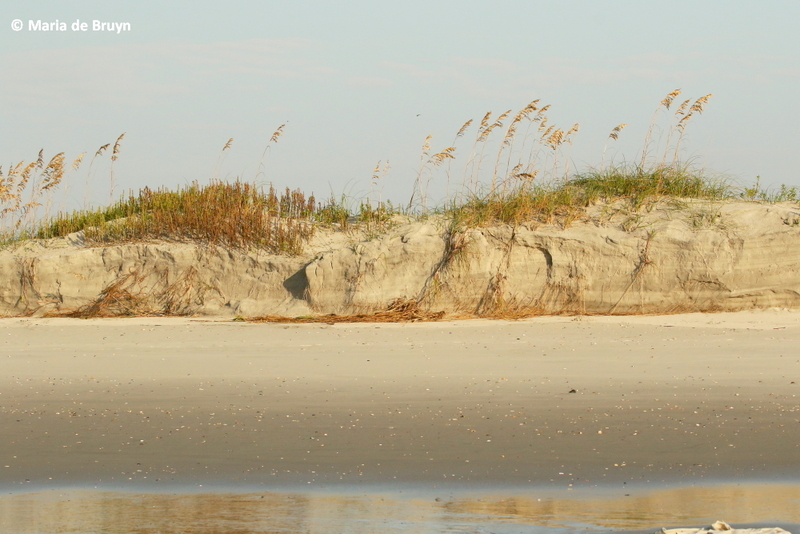 Now that I have had to take my preferred camera in for repairs, however, I have a bit more time to work on the blog and a recent brief trip to Topsail Island is providing some almost ready-made postings. 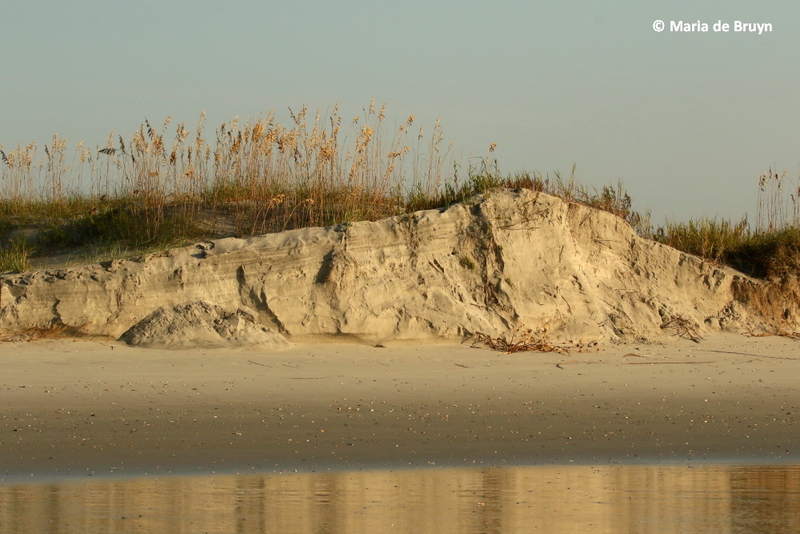 The south end of Topsail Island has been eroded greatly by the Atlantic storms, including effects from Hurricane Irma. Where normally the beach sloped up gently to beautiful dunes, these have now been sheared off vertically and the sea grasses and other vegetation before the dunes have been swept away. That is of concern as the sea turtles nest there; hopefully, there will be sufficient places for their eggs next year. There were far fewer shells on the beach but at low tide the swath of empty sand was very wide. 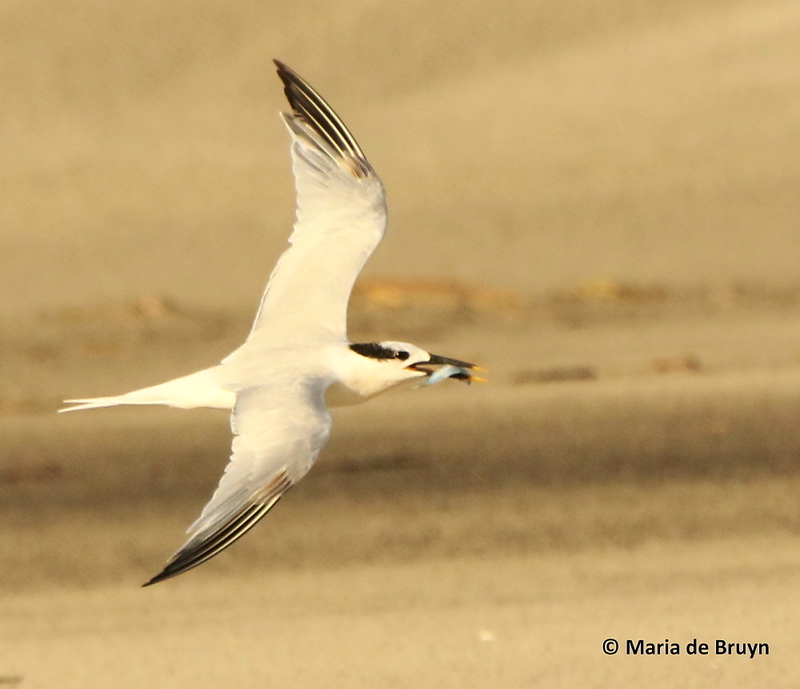 Mixed groups of birds were resting there in between ocean fishing expeditions. 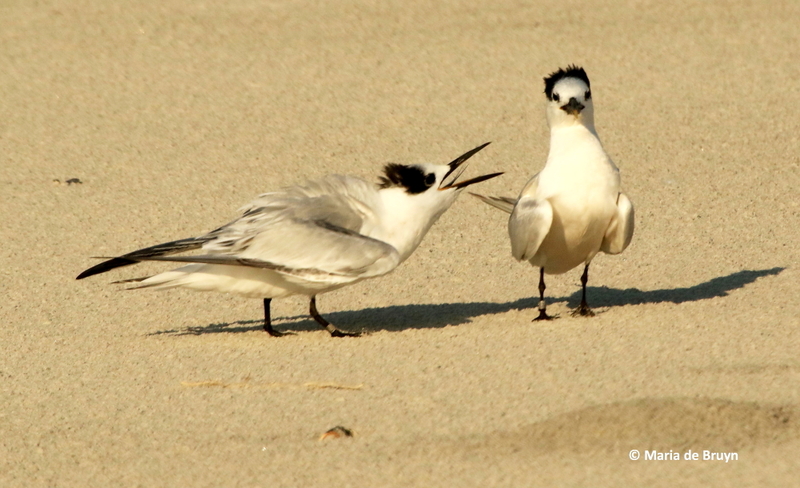 There were a couple immature common terns (Sterna hirundo) who were begging for food incessantly, but the adults pretty much ignored them, preferring to preen or settle down for a rest. 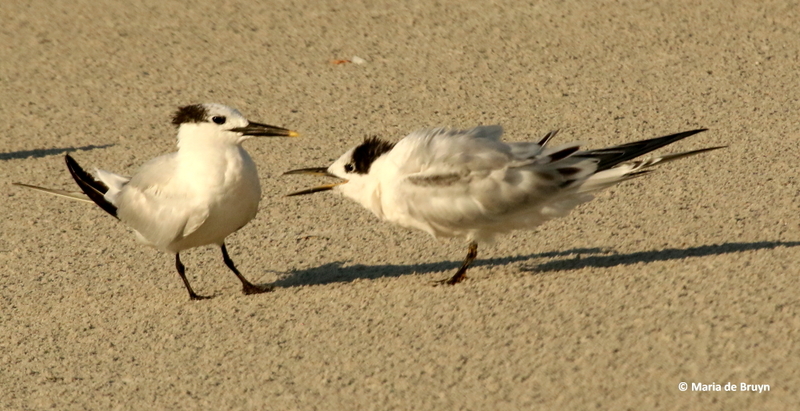 Some of the begging was pretty vigorous, accompanied by feather ruffling and shaking but I didn’t see any parents go off for food. 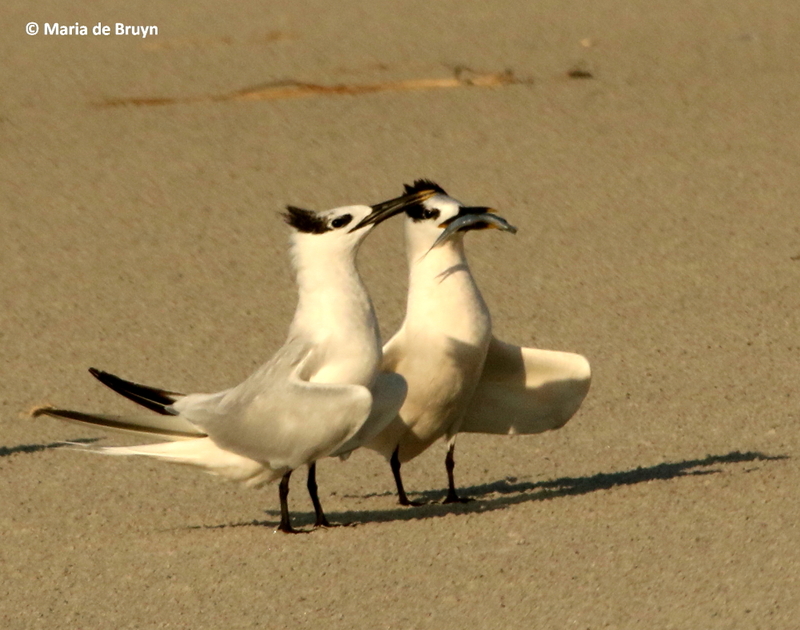 The sandwich terns (Thalasseus sandvicensis) were also resting but individuals took off frequently for a fishing flight. 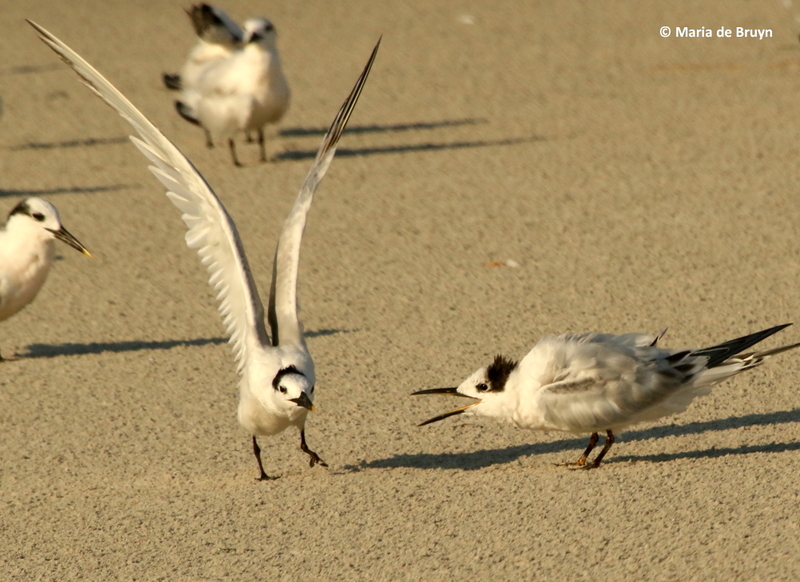 These terns are easily identifiable by the yellow tips on their black bills and their Groucho Mark hair-dos, a boon for people like me who are challenged in recognizing which shorebird they have before them. Sometimes, you could imagine a conversation taking place between them. Hi! I’m back from fishing! See, I got a fish! Not to your liking, huh? I think I’ll go feed a young one! 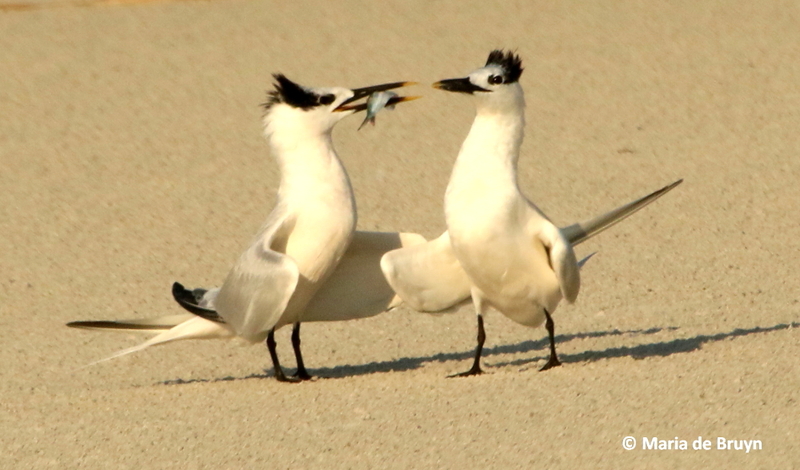 There were two immature sandwich terns who were very persistent in asking for a meal. Come on, Ma, I’m hungry! I am really really hungry! That’s right, put it right here! Thank goodness you brought me something! 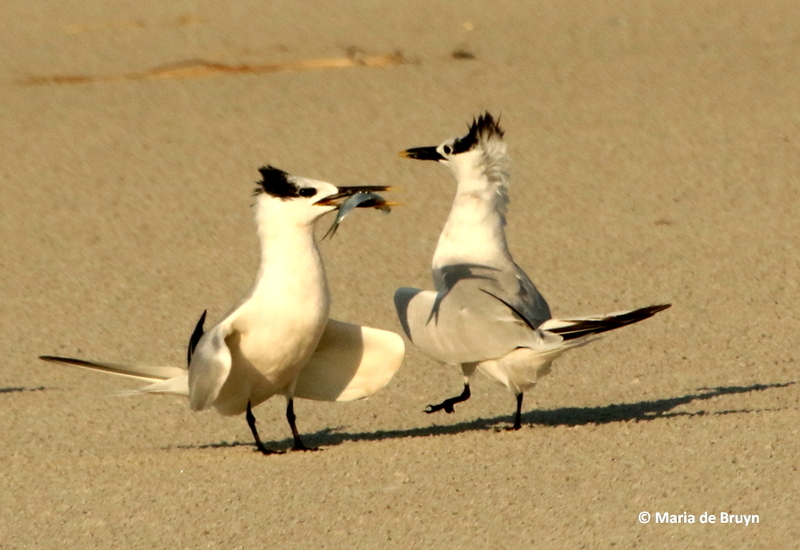 The birds were quite entertaining to watch and I have more photos to share from that trip. I will try to intersperse them between postings on avian child-rearing. Have a nice day! 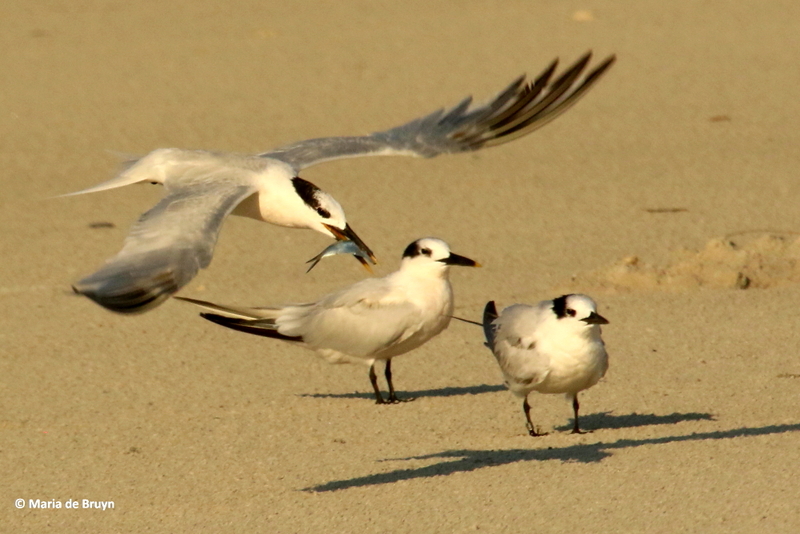 This entry was posted in Animal behavior, Birds, climate, nature, wildlife and tagged adult, avian, behavior, bird, common tern, dunes, environment, erosion, feeding, immature, nature, North Carolina, sandwich tern, scientific identification, scientific name, seashore, shorebird, Sterna hirundo, Thalasseus sandvicensis, Topsail Island, wildlife by Maria dB. Bookmark the permalink. Love the pictures and the captions! Can’t believe that they can live that long!! Glad you enjoyed it, Malai! 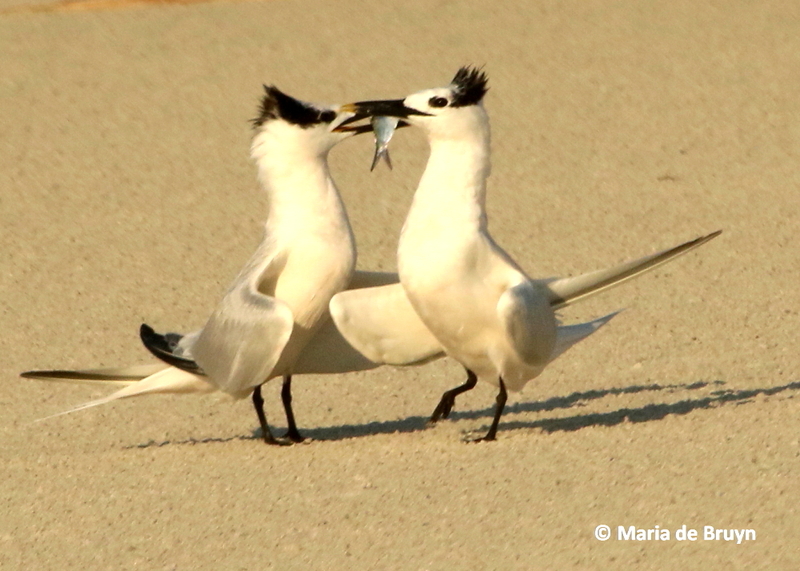 I was surprised to hear that these terns can live a couple decades, too! The oldest known bird is an albatross who just had another chick this year on 16 February at the age of 66. But she is very unusual. A lot of birds we see in our gardens have lifespans of about 3-6 years on average. 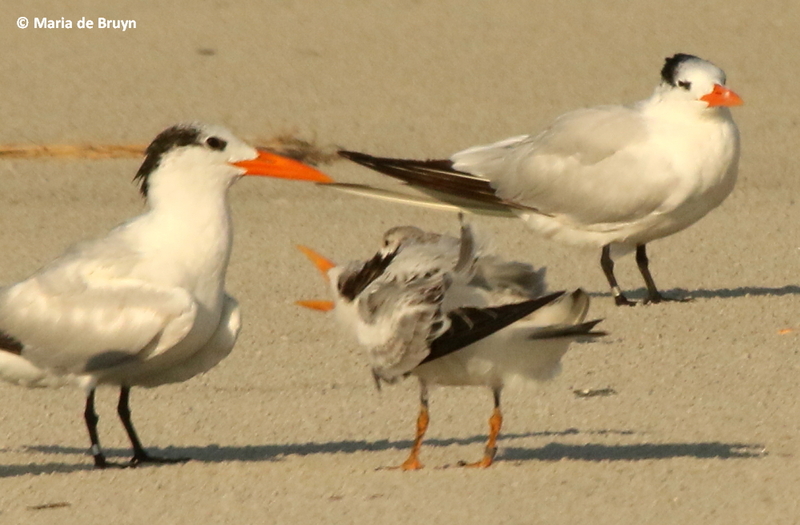 The tern photos are magical! Thank you, Cindy! It was fun taking them.